Willow <3. . Wallpaper and background images in the Willow Smith club tagged: willow smith 2010 pretty singer pictures. 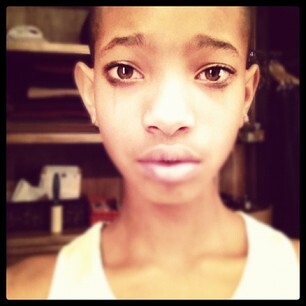 This Willow Smith photo contains retrato, headshot, close up, and closeup. And Oh. Express Your Opinions Somewhere Else. This Is The Willow Smith Club, And Willow Pics Can be Posted Here If They Wanted To.